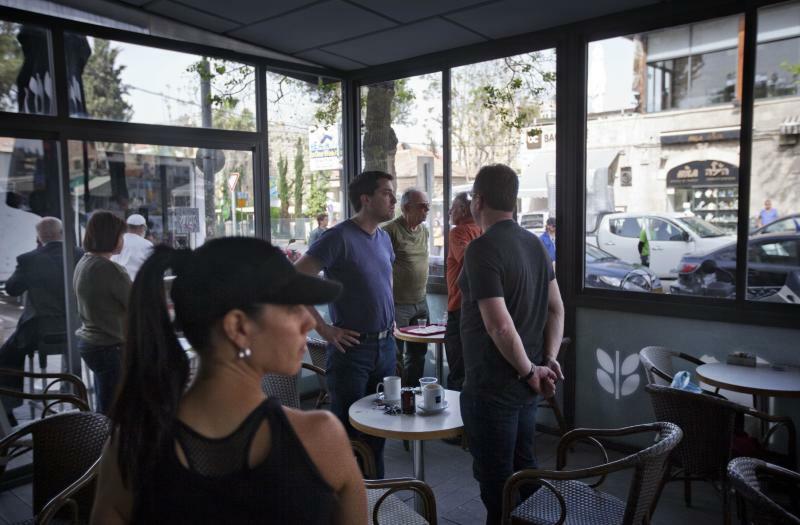 JERUSALEM (AP) — Among the crowds marking Israel's annual Holocaust remembrance day at the Yad Vashem memorial Monday was a retired American Air Force colonel from San Francisco who came to honor a family he never knew. Bertrand Huchberger was too young to remember his parents, who sent him and his older sister from Paris into the French countryside to escape the Nazi roundups during World War II. For three years he was hidden by Christian rescuers, including a prostitute, before he was put into an orphanage and adopted by American Jews when he was 11 and taken to New York. Now 75, Huchberger took part in a rite that has become a centerpiece of the Israel's annual memorial day for the 6 million Jews killed in the genocide by reading the names of his dead relatives: his parents, Alexander and Elenora Noz, and his brother, Albert, who stayed behind in Paris. All were killed. "It is still settling in. It was just overwhelming. This place is 'terra sancta' (holy ground) for people who have been associated with the Holocaust," said Huchberger, who has only a single photograph to remember his family. "Now I feel that I find myself and my heritage, and it's just uplifting ... it helps build a spiritual bridge to my parents." The ceremony, known as "Every Person Has a Name," tries to go beyond the incomprehensible numbers to personalize the stories of individuals, families and communities destroyed during the war. At the Knesset, Israel's parliament, President Shimon Peres, Prime Minister Benjamin Netanyahu and other officials also read names of their relatives murdered in the Holocaust. In an annual ritual, the country came to a standstill at 10 a.m. Monday to honor the victims when sirens wailed for two-minutes across the country. 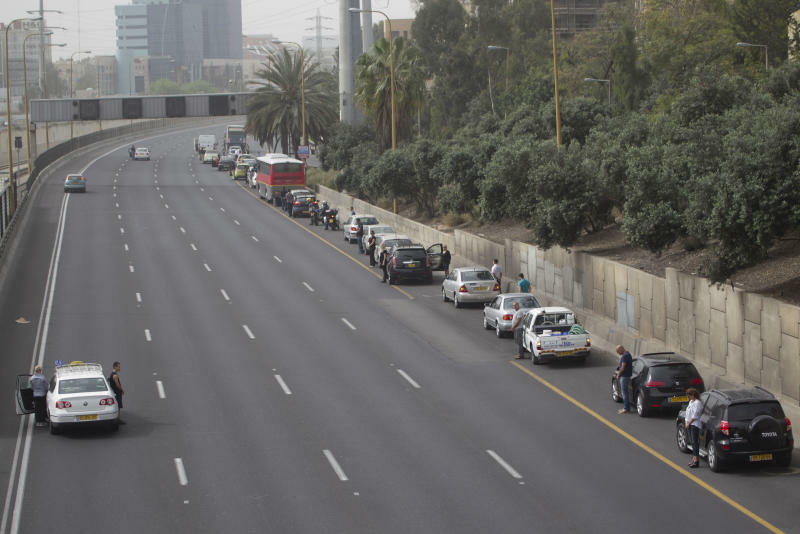 Pedestrians stood in place, buses stopped on busy streets and cars pulled over on major highways, their drivers standing on the roads with their heads bowed. In homes and businesses, people stopped what they were doing to pay homage to the victims of the Nazi genocide, in which a third of world Jewry was annihilated. A wreath laying ceremony at Yad Vashem followed, with Israeli leaders, Holocaust survivors and visiting U.S. Secretary of State John Kerry in attendance. Other ceremonies, prayers and musical performances took place in schools, community centers and army bases. 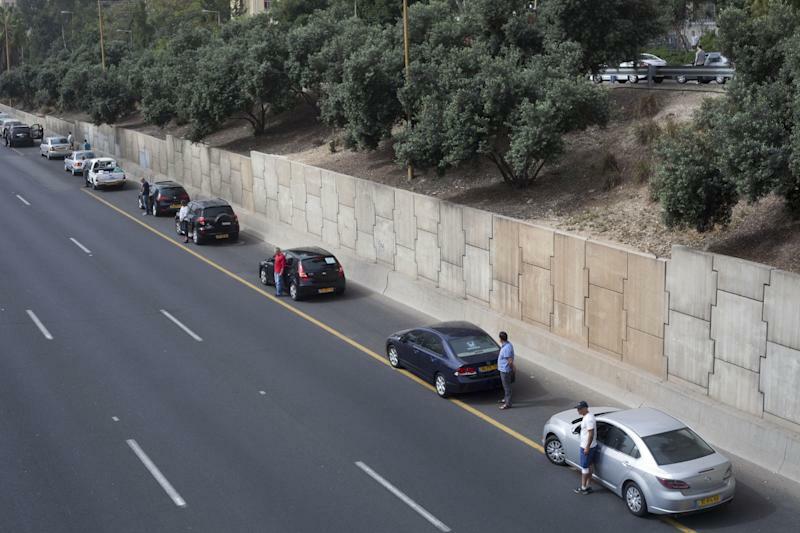 The annual remembrance is one of the most solemn on Israel's calendar. Restaurants, cafes and places of entertainment shut down, and radio and TV programming were dedicated almost exclusively to documentaries about the Holocaust, interviews with survivors and somber music. The Israeli flag flew at half-staff. In parliament, Peres recited the names of his family members killed along with 2,060 members of their community in August 1942 in the town of Vishneva, part of Poland before World War II and now in Belarus. Peres, 89, was already in Israel. Nazis and their local collaborators rounded up the Jews and herded them into a wooden synagogue. Peres said his grandfather, a prominent rabbi, wrapped in a prayer shawl, walked at the head of the community into the building. The Nazis then shot at the structure and set it on fire, burning the people inside to death. This year's commemoration marked 70 years since the Warsaw ghetto uprising, a symbol of Jewish resistance against the Nazis that resonates deeply in Israel to this day. The uprising was the first large-scale rebellion against the Nazis in Europe and the single greatest act of Jewish resistance during the Holocaust. Though guaranteed to fail, it became a symbol of struggle against impossible conditions and inspired other acts of uprising and underground resistance. President Barack Obama, who visited Yad Vashem on his trip to Israel last month, said in a statement that the day offered a chance to remember the "beautiful lives lost" and to "pay tribute to all those who resisted the Nazis' heinous acts and all those who survived." Kerry, at a meeting with Peres later Monday, said the wailing of the sirens in the morning "had a profound impact on me. It was impressive." At the opening state ceremony Sunday night at Yad Vashem, Israeli leaders linked the desperate Jewish revolt of 1943 to the warrior mentality that enabled the establishment of Israel five years later. They also tied the Nazi genocide to Iran's suspected drive to acquire nuclear arms and urged the world to stop it. Iranian leaders have repeatedly denied the scope of the Holocaust while making references to the destruction of Israel. "The murderous hatred against the Jews that has accompanied the history of our people has not disappeared, it has just been replaced with a murderous hatred of the Jewish state," Netanyahu said. "What has changed since the Holocaust is our determination and our ability to defend ourselves." Israel was created just three years after the end of the war, and hundreds of thousands of survivors made their way to Israel. Today, they are among fewer than 200,000 elderly survivors in Israel, and the mass murder of Jews during World War II is still a central part of Israel's psyche. AP writer Josh Lederman contributed from Washington.